There are so many places to visit, so many things to see, and so many things to do it would be impossible to fit everything in even if you had 500 years to do so. Most people spend their lives looking for a discovery adventure. They want to experience everything possible that pleases the senses. They look for something exciting to fulfill them emotionally by spinning their wheel of fortune to see where it may land. Sometimes it gives them an adventure in love. Other times they can thrill to a business enterprise. Some people even become energized by the avoidance of a dangerous hazard that almost ends in disaster. All of these experiences are a discovery adventure that for most people makes life worth living. No one likes to be bored. Even those who prefer the familiar because they are afraid to move out of their comfort zone, look for something new to expand their horizons and electrify their soul. The discovery adventure of a more passive individual will be to rally behind those they make their idols, such as movie stars, sports heroes, or successful business men. They will attempt to live their lives through these carefully selected individuals who they believe possess all the wonderful qualities they would love to have, or that they feel they do possess but have no way to express. Others get their inspiration from the gossip they share and rumors they spread. The discovery adventure that motivates these people is to manipulate the minds of others to get the things they desire. These people love to belittle their coworkers and tear down their competition, so they look better in the eyes of their gullible captive fans. Many get their kicks out of creating negative responses, building criticism, and causing character assassinations against those they consider their rivals. Active people with a positive nature generally seek their discovery adventure by challenging themselves. These people set goals and strive to attain them. It could be something as simple as winning over another person’s confidence, making someone fall in love with them, or triumphing in their business ventures. Many times they are the people out skydiving, mountain climbing, scuba diving, and race car driving. Danger incites them to action, and succeeding in their discovery adventure makes them feel twice as powerful. The discovery adventure one may choose can define him or her so these individuals know better what their tendencies are. However, these adventures are extremely limited. 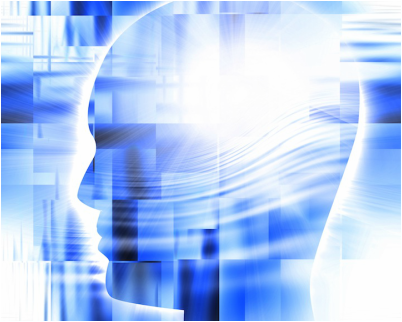 If you want to really get to the core of your essence, your true nature, what makes you act and react, and the reason behind all this, you will have to apply the benefits of self past life regression. 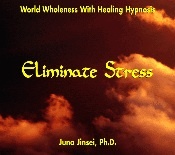 As a Pastoral Counseling Psychologist with a Masters degree in Metaphysical Sciences, Juna Jinsei, Ph.D. has spent her adult life assisting others in breaking the emotional, mental, and psychological bonds that hold them back from attaining their aspirations and dreams. 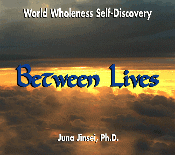 As the founder of the World Wholeness Healing Center, Dr. Jinsei has assisted people who are striving for life balance and well-being to indulge in their most intimately unique discovery adventure. Many people cannot achieve their goals without learning more about their ancient past. Some people are stuck in a cycle of self-pity that cripples them from moving forward during this lifetime. There are those who hold themselves back by indulging in a variety of addictions that drag belittling filth into their lives and stagnate their attempts to move forward. Others are engulfed in a fundamental darkness that taints any positive actions they try to take, such as illogical rage, devastating depression, or unreasonable fears. To advance in life these people have to know where they have been to recognize who they are, so they can continue their personal quest to develop into the sentient beings they desire to be. This can only be accomplished by breaking out of one’s shell and seeking beyond traditional means. An in-depth profound self discovery of one’s True Self is the only way to quickly reach and commune with the Higher Self on the next level. By studying the past you will be able to divine the future. By knowing yourself intimately, you will be able to break the bonds that have you tethered to bad behavior, negative habits, and the fundamental ignorance that holds you back and keeps you from seeing the honorable being you really are. 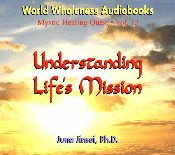 These self-enlightening books and CDs produced by World Wholeness can help you reach your Higher Self and comprehend the mysteries that need to unfold to accomplish the ultimate personal growth and well-being you aspire to attain. ​As an author, Dr. Jinsei aspired to reach as many people as possible so they could understand the workings of their fundamental darkness and make the appropriate changes to become the inspiring individuals they hoped to be. 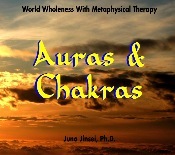 She understood the importance of creating wellness, so one could eventually achieve a blessed wholeness. She recognized that once this wholeness was achieved, a creative, intelligent, and compassionate person could do many wonderful things to right wrongs and assist others with their honorable intentions and accomplish so much more with their radiate positive energy. Therefore, she has made it her personal mission to assist curing the ills of the afflicted, raising the energy levels of the weak, adjusting the negative attitudes of the angry and despondent, and elevating the life of those seeking answers to prosper, physical and emotional healing, and internal redemption. Aventures of your past existences and what you have been taught by them, all you have to do is put on a pair of headphones and relax in your most comfortable chair. Then take in the inviting audio session that offers the inner transformation of a lifetime. 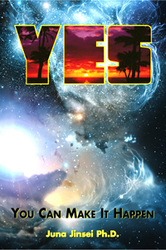 You’ll enjoy this positive journey of self discovery that will guide you down the path of self exploration to uncover your True Self and personal mission. You can make a huge difference in your life with just a little self discovery. These techniques go far beyond the efforts of daily meditation. This therapy goes much deeper into the core of your psyche to unravel the parts of you that you have never seen and don’t know exist. Your latent excellence, skills, abilities, and strength of character not yet challenged cannot emerge for examination without the proper exterior conditions to birth them. However this does not mean you have not experienced and used them before. It simply means that they are lying dormant waiting to be tapped at the right moment. Once you witness how incredibly vibrant, virtuous, and heroic you have been, your self-esteem will soar along with your self-confidence and you will be catapulted forward by the awareness of what you are actually capable of achieving.